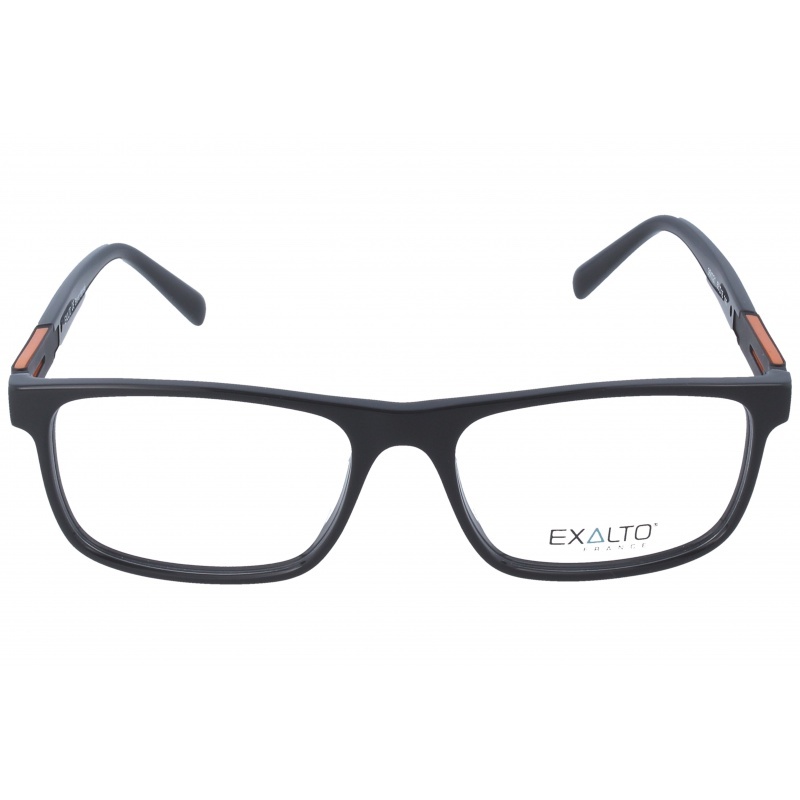 Eyewear by the brand EXALTO, for Men's eyeglasses, with reference M0010994, with a(n) Formal, Modern and Elegant style.These Exalto 98P02 1 50 19 have a(n) Full Rim frame made of Acetate / plastic with a(n) Square shape in Black colour. Their size is 50mm and their bridge width is 19mm, with a total frame width of 69mm. These glasses are suitable for prescription lenses. These are top of the range glasses from the brand EXALTO, made of high-quality materials, modern eyewear that will give you a look that matches your image. Buy Exalto 98P02 1 50 19 eyewear in an easy and safe way at the best price in our online store. 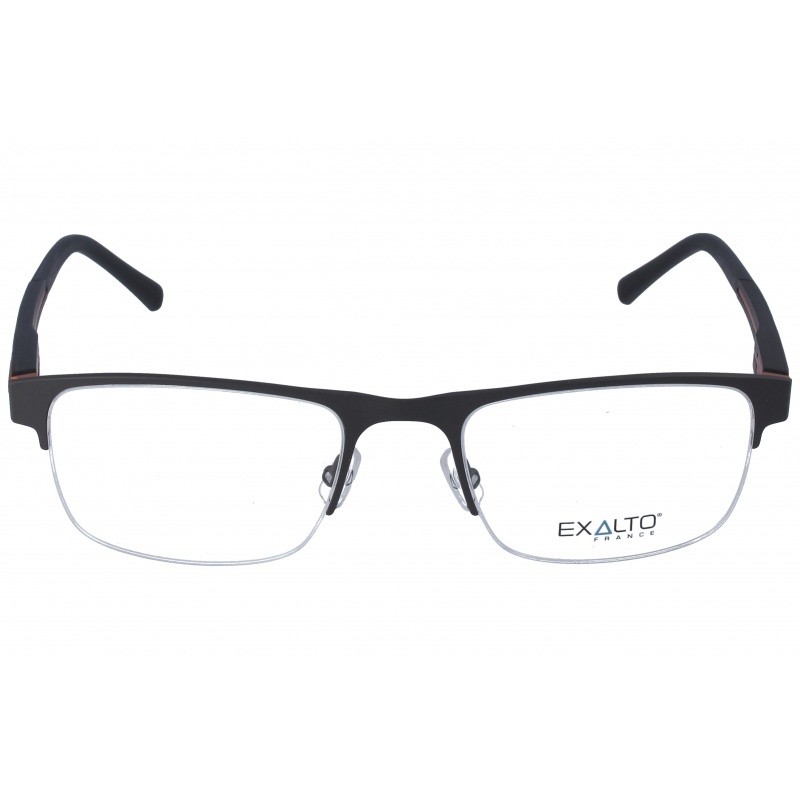 Eyewear by the brand EXALTO, for Eyeglasses for men, with reference M0014203, with a(n) Formal, Modern, Elegant and Sporty style.These Exalto 65N15 1 52 20 have a(n) Semi Rimless frame made of Metal with a(n) Squared shape in Black colour. Their size is 52mm and their bridge width is 20mm, with a total frame width of 72mm. These glasses are suitable for prescription lenses. These are top of the range glasses from the brand EXALTO, made of high-quality materials, modern eyewear that will give you a look that matches your image. Buy Exalto 65N15 1 52 20 eyewear in an easy and safe way at the best price in our online store. string(155) "Exalto 65N15 1 52 20 GlassesEyewear by the brand EXALTO, for Eyeglasses for men, with reference M0014203, with a(n) Formal, Modern, Elegant and Sporty s..."
string(20) "Exalto 65N15 1 52 20"
string(128) "Designed and produced in France, the manufacture of Exalto frames use all the knowledge of the best specialist in the business. " 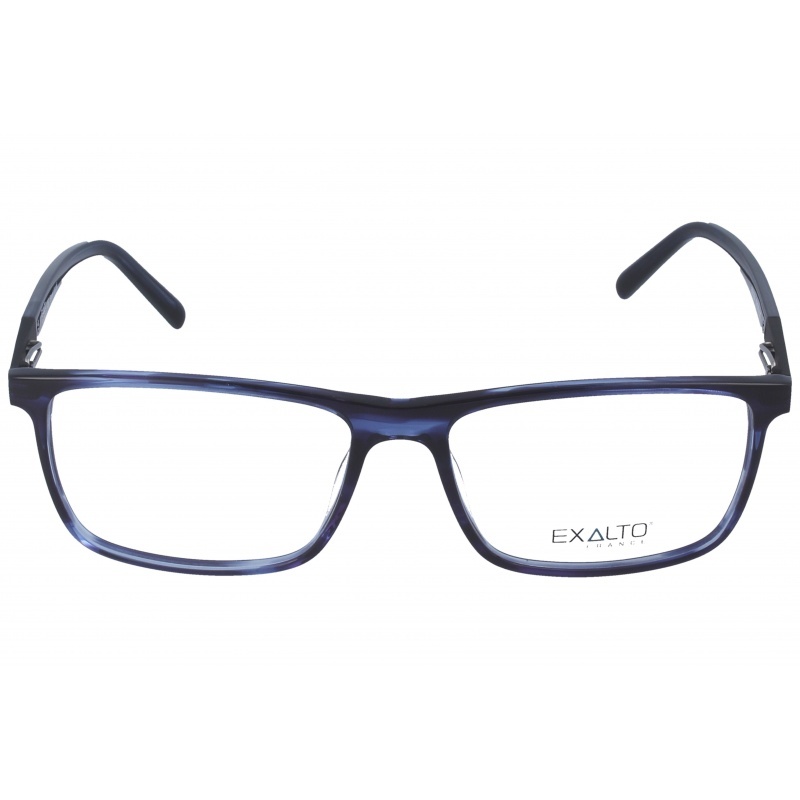 Eyewear by the brand EXALTO, for Eyeglasses for men, with reference M0014202, with a(n) Formal, Modern, Elegant and Sporty style.These Exalto 65N26 4 57 16 have a(n) Full Rim frame made of Acetate / plastic with a(n) Squared shape in Blue colour. Their size is 57mm and their bridge width is 16mm, with a total frame width of 73mm. These glasses are suitable for prescription lenses. These are top of the range glasses from the brand EXALTO, made of high-quality materials, modern eyewear that will give you a look that matches your image. Buy Exalto 65N26 4 57 16 eyewear in an easy and safe way at the best price in our online store. string(155) "Exalto 65N26 4 57 16 GlassesEyewear by the brand EXALTO, for Eyeglasses for men, with reference M0014202, with a(n) Formal, Modern, Elegant and Sporty s..."
string(20) "Exalto 65N26 4 57 16"
Eyewear by the brand EXALTO, for Eyeglasses for men, with reference M0014201, with a(n) Formal, Modern, Elegant and Sporty style.These Exalto 65N16 2 54 20 have a(n) Semi Rimless frame made of Metal with a(n) Squared shape in Black colour. Their size is 54mm and their bridge width is 20mm, with a total frame width of 74mm. These glasses are suitable for prescription lenses. These are top of the range glasses from the brand EXALTO, made of high-quality materials, modern eyewear that will give you a look that matches your image. Buy Exalto 65N16 2 54 20 eyewear in an easy and safe way at the best price in our online store. string(155) "Exalto 65N16 2 54 20 GlassesEyewear by the brand EXALTO, for Eyeglasses for men, with reference M0014201, with a(n) Formal, Modern, Elegant and Sporty s..."
string(20) "Exalto 65N16 2 54 20"
Eyewear by the brand EXALTO, for Eyeglasses for men, with reference M0014200, with a(n) Formal, Modern, Elegant and Sporty style.These Exalto 65N16 3 54 20 have a(n) Semi Rimless frame made of Metal with a(n) Squared shape in Black colour. Their size is 54mm and their bridge width is 20mm, with a total frame width of 74mm. These glasses are suitable for prescription lenses. These are top of the range glasses from the brand EXALTO, made of high-quality materials, modern eyewear that will give you a look that matches your image. Buy Exalto 65N16 3 54 20 eyewear in an easy and safe way at the best price in our online store. string(155) "Exalto 65N16 3 54 20 GlassesEyewear by the brand EXALTO, for Eyeglasses for men, with reference M0014200, with a(n) Formal, Modern, Elegant and Sporty s..."
string(20) "Exalto 65N16 3 54 20"
Eyewear by the brand EXALTO, for Eyeglasses for men, with reference M0014199, with a(n) Formal, Modern, Elegant and Sporty style.These Exalto 12M07 3 53 20 have a(n) Semi Rimless frame made of Metal with a(n) Squared shape in Brown colour. Their size is 53mm and their bridge width is 20mm, with a total frame width of 73mm. These glasses are suitable for prescription lenses. These are top of the range glasses from the brand EXALTO, made of high-quality materials, modern eyewear that will give you a look that matches your image. 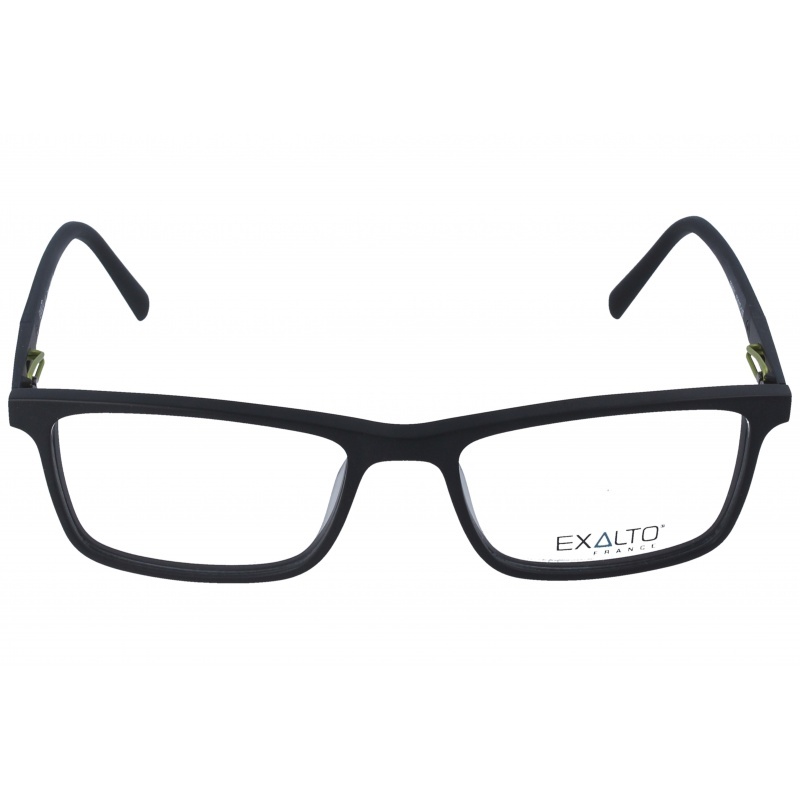 Buy Exalto 12M07 3 53 20 eyewear in an easy and safe way at the best price in our online store. string(155) "Exalto 12M07 3 53 20 GlassesEyewear by the brand EXALTO, for Eyeglasses for men, with reference M0014199, with a(n) Formal, Modern, Elegant and Sporty s..."
string(20) "Exalto 12M07 3 53 20"
Eyewear by the brand EXALTO, for Eyeglasses for men, with reference M0014198, with a(n) Formal, Modern, Elegant and Sporty style.These Exalto 36K02 1 53 16 have a(n) Full Rim frame made of Acetate / plastic with a(n) Squared shape in Black, Blue and Navy Blue colours. Their size is 53mm and their bridge width is 16mm, with a total frame width of 69mm. These glasses are suitable for prescription lenses. These are top of the range glasses from the brand EXALTO, made of high-quality materials, modern eyewear that will give you a look that matches your image. Buy Exalto 36K02 1 53 16 eyewear in an easy and safe way at the best price in our online store. string(155) "Exalto 36K02 1 53 16 GlassesEyewear by the brand EXALTO, for Eyeglasses for men, with reference M0014198, with a(n) Formal, Modern, Elegant and Sporty s..."
string(20) "Exalto 36K02 1 53 16"
Eyewear by the brand EXALTO, for Eyeglasses for men, with reference M0013736, with a(n) Formal, Modern, Elegant and Sporty style.These Exalto 65N01 3 52 17 have a(n) Full Rim frame made of Acetate / plastic with a(n) Squared shape in Black colour. Their size is 52mm and their bridge width is 17mm, with a total frame width of 69mm. These glasses are suitable for prescription lenses. These are top of the range glasses from the brand EXALTO, made of high-quality materials, modern eyewear that will give you a look that matches your image. Buy Exalto 65N01 3 52 17 eyewear in an easy and safe way at the best price in our online store. string(129) "Buy Exalto 65N01 3 52 17 eyeglasses. Modern and elegant model. Original product with fast shipping, quality guarantee and refund." string(20) "Exalto 65N01 3 52 17"
Eyewear by the brand EXALTO, for Eyeglasses for men, with reference M0013501, with a(n) Formal, Modern, Elegant and Sporty style.These Exalto 65N11 4 55 20 have a(n) Semi Rimless frame made of Metal with a(n) Square shape in Black and Brown colours. Their size is 55mm and their bridge width is 20mm, with a total frame width of 75mm. These glasses are suitable for prescription lenses. These are top of the range glasses from the brand EXALTO, made of high-quality materials, modern eyewear that will give you a look that matches your image. Buy Exalto 65N11 4 55 20 eyewear in an easy and safe way at the best price in our online store. string(129) "Buy Exalto 65N11 4 55 20 eyeglasses. Modern and elegant model. Original product with fast shipping, quality guarantee and refund." string(20) "Exalto 65N11 4 55 20"